Apartments Mia are located in Sveti Juraj, 6 kilometres south from Senj, in Kvarner region. 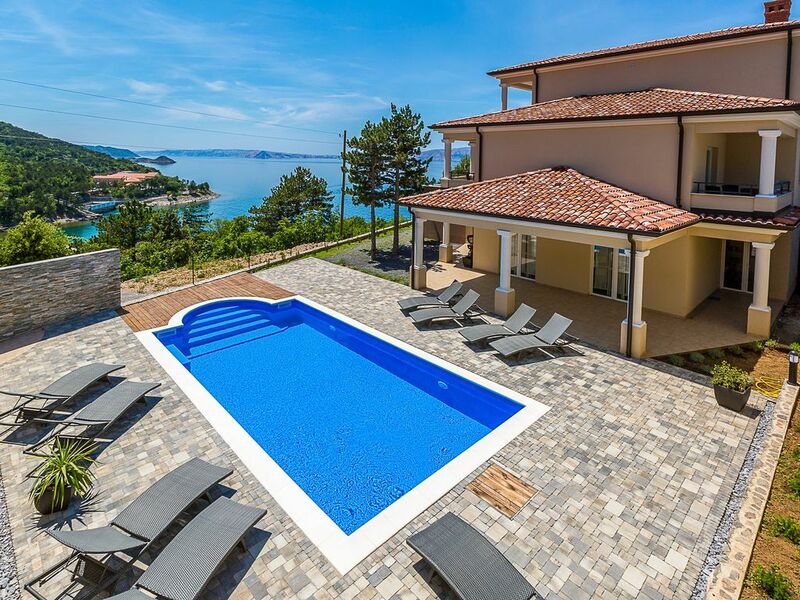 The house is newly built and located on a perfect sunny and quiet location along the coast, only 150 metres from the nearest beach and 1.5 km from the small village of Sveti Juraj. It consists of 8 apartments and has a large outdoor pool. Guests will appreciate an amazing view from the terrace, and will also be provided with free WiFi and private sunbeds on this apartment's terrace. The house also has a dedicated covered BBQ area that can accommodate as much as 8 people, a table tennis table and a large park. Each apartment is air-conditioned, has a fully equipped kitchenette and a flat screen TV. The distance to the nearest airport (Rijeka Airport) is 57 km. Apartments Mia are very close to the many national parks perfect for hiking, biking, trekking...like Sjeverni Velebit, Paklenica and the most famous national park in Croatia, Plitvice Lakes National Park, which is only 65 km far from the property. Also, The Kuterevo bear sanctuary is 40 km away while Nikola Tesla Memorial Centre is 99 km away. Great apartment, amazing view, friendly host, very relaxing! Apartments Mia is a fab base for exploring all the gorgeous coves and towns along the Adriatic highway. The apartment was very clean with the most wonderful view of the sea from our balcony. Sandra the host is extremely friendly and very knowledgeable about the local area and gave us some great recommendations of places to see and restaurants. Sandra made us feel very at home and welcome throughout our stay. The bbq and pool area are brilliant and kept very clean and tidy. There is a short walk to the little local beach across the main road and down some steps. Short drives to local town Senj and smaller town of Sveti Juraj. You do need a car if you're staying here as not really in walking distance to anywhere and also if you want to discover all the amazing little places along the coast...we really did have a relaxing time here and it wasn't ever busy which was lovely. We'll definitely be back! Erg mooi appartement met veel voorzieningen. Mooi uitzicht en loopafstand tot klein kiezelstrand. Zeer vriendelijke eigenaar die zelf onderin het gebouw woont. Iets mindere punten vond ik de doorgaande weg die tussen de kust en het huis loopt en de stevige prijs maar verder is het een aanrader. Ein sehr schöner Urlaub in Kroatien in einer tollen Unterkunft! Sauber und sehr zuvorkommende Vermieter, der Pool ist top und auch sonst ist der Ausblick auf's Meer unbezahlbar. Der kleine Ort "Sv. Juraj" ist in wenigen Minuten erreichbar.